After facing a drubbing in the Assembly polls in Chhattisgarh, the BJP has dropped all its sitting MPs in the state and given tickets to new faces for the upcoming polls. Buoyed by its performance in the Chhattisgarh Assembly polls last year, the Congress is making a serious attempt to make a dent into BJP’s bastion of Raigarh, a Lok Sabha seat which the saffron party has been winning for last two decades. The seat, reserved for Scheduled Tribe candidates, is considered ‘safe’ for the BJP as its sitting MP and Union minister Vishnu Deo Sai has been representing it since 1999, winning four times in a row. However, after facing a drubbing in the Assembly polls in Chhattisgarh, where it ruled for 15 years, the BJP has dropped all its sitting MPs in the state and given tickets to new faces for the upcoming Lok Sabha elections. 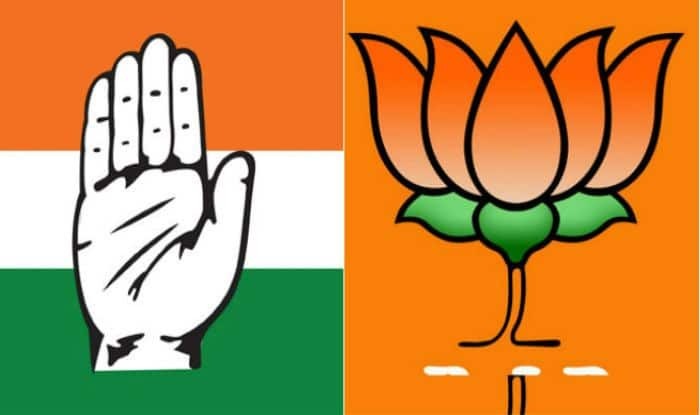 In Raigarh, the BJP has fielded a woman candidate, Gomtee Sai, against Congress’ Laljeet Singh Rathiya, who is the sitting MLA from Dharamjaigarh Assembly seat. In last year’s state polls, the Congress won all eight Assembly segments – Jashpur, Kunkuri and Patthalgaon (in Jashpur district), Lailunga, Dharamjaigarh, Sarangarh, Kharsiya and Raigarh (Raigarh district) – falling under this Lok Sabha constituency. “The BJP is likely to struggle this time to match its previous performance in Raigarh. Being a lesser known leader, Gomtee Sai will face a tough challenge in the election,” said a political analyst. Though Rathiya, a two-term MLA, is also a low-profile leader, his political background could add to his advantage, he said. His father Chanesh Ram Rathiya was a seven-term MLA from seats in the region and served as a minister in the previous Madhya Pradesh Congress-led governments before Chhattisgarh state was formed. His maternal grandfather Umed Singh Rathiya was an MP from Raigarh in 1971, he pointed out. Sai, who heads the Jashpur district panchayat, is the first woman candidate fielded by the BJP from the seat. The Congress earlier fielded women candidates eight times from Raigarh. According to a political observer, elephant menace, human-trafficking and displacement of tribals due to coal mining are some of the key issues faced by people in the constituency for the last several years. BJP leader and former Raigarh seat MLA Roshanlal Agrawal said voters in the Lok Sabha constituency will acknowledge the work done by his party. “The development works done during the previous 15-year rule of Raman Singh in the state and by Prime Minister Narendra Modi at the Centre will definitely convince voters to chose the BJP candidate. Sai will continue the party’s winning streak in the seat,” Agrawal said. On the other side, the Congress also expressed confidence of winning the seat, saying it has taken farm welfare measures after coming to power in the state. “We fulfilled our poll promises of farm loan waiver, high minimum support price for paddy procurement, and many more. People will show faith in us in the Lok Sabha polls because we have done what we promised,” said state higher education minister Umesh Patel, an MLA from Kharsiya seat. The state has 11 Lok Sabha seats where elections will be held in three phases on April 11, 18 and 23. Total 14 candidates are in fray from Raigarh seat, which will go to polls in the third phase. There are 17,31,655 voters in Raigarh, including 8,68,308 women, 8,63,319 men and 28 of the third gender. As per demographics, the Scheduled Tribes constitute around 50 per cent of the total voters in the constituency, followed by the Other Backward Classes – 25 per cent and the Scheduled Castes – 20 per cent.